My name is Marina Gafanovich. 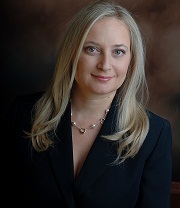 I am a board certified medical doctor and Manhattan physician who is proud to continue the work of my mentors. My background is in Internal Medicine and therefore I am fully prepared to assist you with all of your medical needs, from digestive issues to hypertension to sports medicine. I fully support the integrated humanist approach of my predecessors and promise that when you walk through my doors you will receive respectful, compassionate treatment that takes you and your lifestyle into consideration. There is no “one size fits all” to medical treatment. When you are under my care, care is exactly what you will receive. This is my promise to you. From the moment you take your first step into our office, you’ll experience a warm and friendly atmosphere. We all understand that doctor’s visits are stressful enough. No one needs to feel as if they are “just a number” or that they are a “problem”. Our devoted, multi-lingual staff is highly trained to attend to your individual needs and minimize your waiting time. We are equipped with the most sophisticated diagnostic medical equipment, aimed to efficiently and thoroughly define and identify our patients’ problem areas. 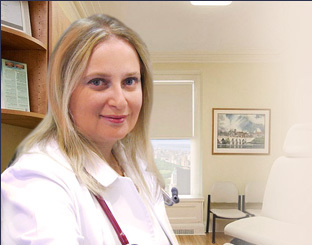 Our Manhattan Internist’s office provides on-site phlebotomy, ECGs, and other services. This enables us to effectively screen and prevent diseases. In addition, we provide efficient pre-operative clearance for our patients. We address issues ranging from comprehensive physical exams to common medical problems such as hypertension, high cholesterol, diabetes, coronary artery disease, peripheral vascular disease, weight loss, smoking cessation, stress management, gout, arthritis, and asthma/COPD. We also offer strategies for primary disease prevention such as screening for colorectal, breast, and prostate cancer. The doctor-patient relationship can only be forged when there is trust, compassion, and respect. I understand fully what you are entrusting me with when you walk into my practice and will not let you down. As a Manhattan physician I know that not only do I have a lot of competition out there, as far as internists New York, but also as a New York doctor. Manhattan is known for having some of the best doctor’s in the world, and all of us know that we have a responsibility to our patients and ourselves to provide top-rated medical care. Our Upper East Side office is dedicated to providing you with the best, most professional and compassionate care in New York City!